Saves and Shutouts began as a sort of dumping ground for all things sports that happened to cross my brain. Then it was focused and tightened into a purely baseball blog. And since everything is cyclical, it’s heading back towards being about anything that may or may not be sports related. I was a sports writer and a columnist for some time, but now I just get to enjoy sports like a normal person — a normal, occasionally opinionated person. Please enjoy your stay. 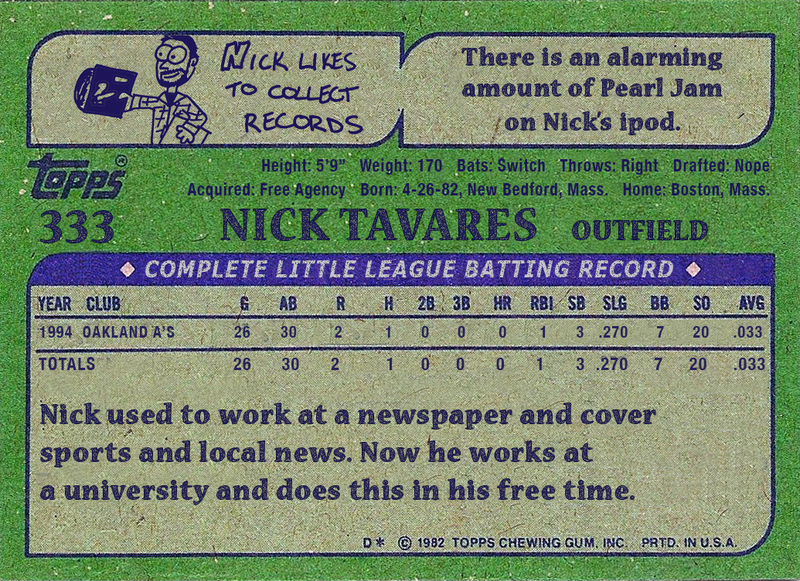 If you want to get in touch, email works best: nick [at] nicktavares [dot] com.